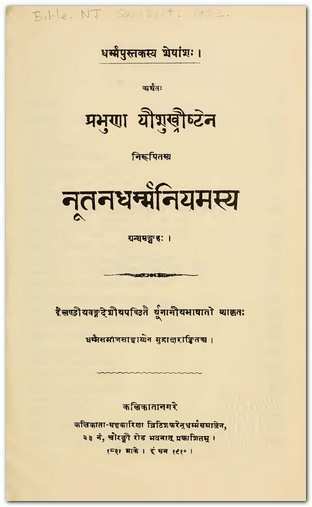 Vyavaharikam Samskritam in 3 parts by Pramodvardhana Kaundinyayana Mimamsacharya of Nepal is intented to teach Sanskrit to the beginners in Sanskrit language. 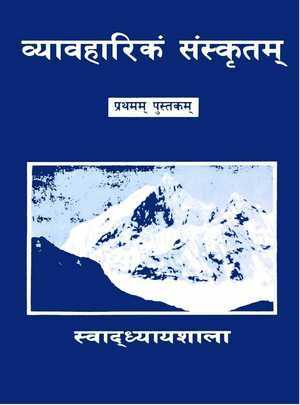 This series covers Sanskrit alphabets, declensions, subhashitas, stories, coversations, poems, sandhi, verb forms, samasas, pratyayas, etc. I am grateful to Ujjwol Lamichhane for kindly sending the pdf files of these books to me and for encouraging me to post them on this blog. 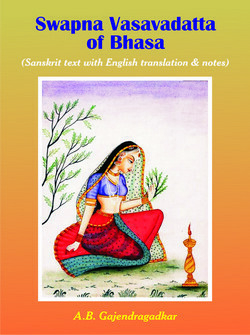 Sanskrit Text with English translation and notes of Swapnavasavadatta (The dream of Vasavadatta) of Bhasa (3rd Century BCE) by A.B. Gajendragadkar. 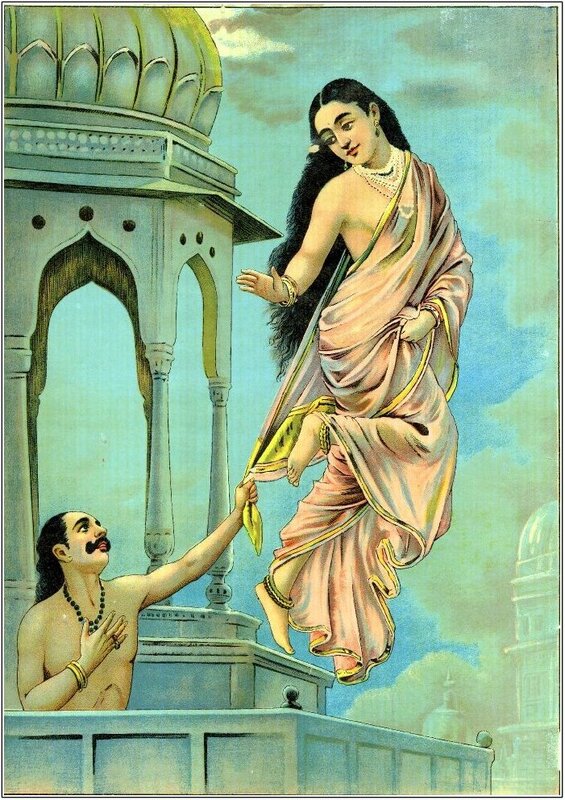 The plot of Svapnavasavadatta is drawn from the romantic narratives about the Vatsa king Udayana and Vasavadatta, the daughter of Pradyota, the ruler of Avanti, which were current in the poet’s time and which seem to have captivated popular imagination. The main theme of the drama is the sorrow of Udayana for his queen Vasavadatta, believed by him to have perished in a conflagration, which was actually a rumour spread by Yaugandharayana, a minister of Udayana to compel his king to marry Padmavati, the daughater of the king of Magadha. It forms, in context, a continuation of his another drama, Pratijnayaugandharayana. Svapnavasavadatta is based on the brihatakatha of gunadhya and is referred to in the mahabharata. Bhasa stands preeminent for the boldness of his conception, insight into character and for his homely sparking style. 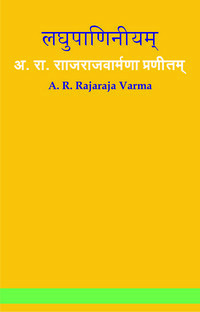 He has written about thirteen plays of which the svapna-vasavadatta is reckoned as a masterpiece both in ancient indian and modern criticism. Vikramorvasiya (Urvasi Won Through Valor) is based on the old legend of the love of the mortal Pururavaas for the heavenly damsel Urvasi. The legend occurs in embryonic form in a hymn of the Rig Veda and in a much amplified version in the Shatapathabrahmana. It tells the story of mortal King Pururavas and celestial nymph Urvashi who fall in love. As an immortal, she has to return to the heavens, where an unfortunate accident causes her to be sent back to the earth as a mortal with the curse that she will die (and thus return to heaven) the moment her lover lays his eyes on the child which she will bear him. After a series of mishaps, including Urvashi’s temporary transformation into a vine, the curse is lifted, and the lovers are allowed to remain together on the earth. Vikramorvasiyam is the second of the three dramas attributed to Kalidasa, the other two being Abhijnanasakuntalam and Malavikagnimitram. The language employed in Vikramorvasiyam displays all the elegance and the beauties of Kalidasa’s style. Next to the heros of the Puranas, no name is more familiar to Indians than that of Chanakya (4th century BCE) or as he is otherwise known, Kautilya or Visnugupta. Throughout the whole of India, nitis or wise sayings attributed to him, are even now taught to students. The very fact that this universal adoration is paid to his memory, shows that Kautilya was in his own days regarded as a master, whose worldly wisdom and foresight gained for him the veneration of his comtemporaries. Chanakya begins the text with a prayer to Lakshmi, the goddess of wealth. Usually Sanskrit texts begin with “Mangalacharanam” – a prayer to Guru, Ganesa or ones Ishta Devata for the auspicious completion of the book. We can see that Chanakya does not conform to this tradition. The first sutra, is perhaps, an explanation why he directed his prayer to Lakshmi. It says, “Wealth is the root cause of Dharma (Righteousness). The last sutra says, “Control of senses is the cause for success in all matters”. Thus, through his aphorisms, Chanakya teaches that a country can progress only imbibing values such as righteousness and self-control and by acquisition of wealth through good governance. The author, A R Rajaraja Varma (1863 -1918), is well known as Kerala Panini (the Panini of Kerala). He was given this title considering his contributions for systematising the grammar of Malayalam language. 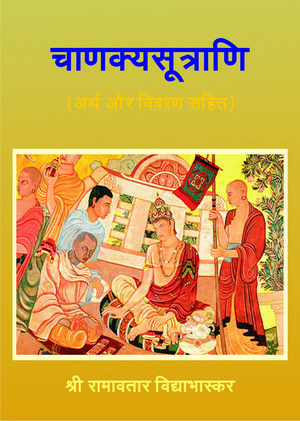 Vritta Ratnakara of Kedara Bhatta (14th Century CE) is one of the most popular texts on Sanskrit prosody. 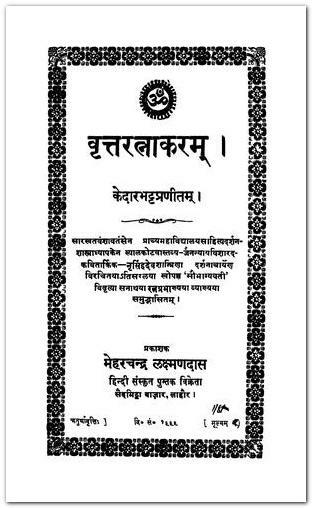 Though there are many books on Sanskrit prosody by eminent authors like Kalidasa, Kshemendra, etc, Vritta Ratankara continues to be an essential text for Sanskrit students. A speciality of this work is that the definition and illustration of a meter is given in one and the same verse. The verse defining a particular metre is composed in that particular meter itself. This is very helpful for a student of Sanskrit prosody. Another speciality of this work is that it is very brief – there are merely 136 verses. The author has covered all the prominent metres of Sanskrit literature in these verses. The Bible is available in almost all languages in the world. But, a copy of it in Sanskrit is a rarity. It is unknown to many that the Bible was translated into Sanskrit language by Christian Missionaries in by the end of 19th century CE. This speaks volumes about their dedication to the task of spreading Christianity in India. 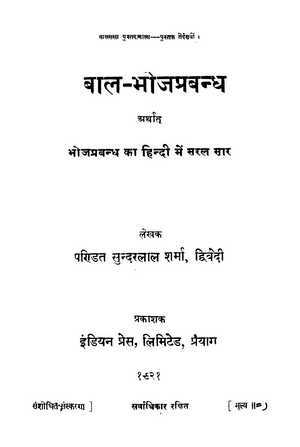 By the end of the 19th century, Sanskrit had been reduced to the status of a classical language handled only by the intelligentsia. Perhaps to propagate Christianity among the Hindu intelligentsia, the missionaries would have translated the Bible into Sanskrit, the sacred language of Hindus. 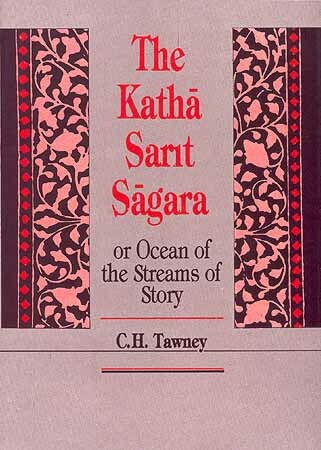 The Sanskrit version of the Old Testament was printed in four parts in 1848 and the New Testament in 1886 in Calcutta. Both these publications do not have English translations since these translations were obviously meant for Sanskrit scholars.